Defiant Monkey Improv will perform their live "Master of Improv Comedy Show" at the Kenan Center Taylor Theater at 7:00pm on December 6th, 2017. The Kenan Center is located at 433 Locust St, Lockport, NY. Over an hour of live comedy improv presented by Karen & Andy – The First Couple of Comedy! Admission is $10. 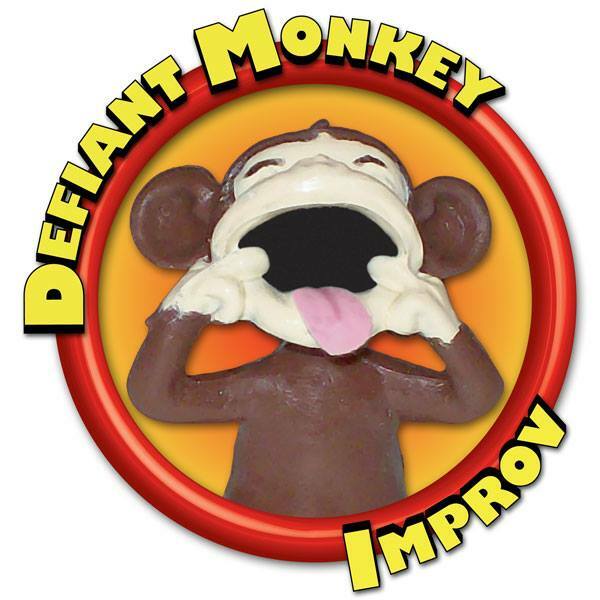 Defiant Monkey Improv is a two-person improvisation group with over 30 years of comedy experience. Using suggestions and guest stars from the audience, they create on-the-spot comedy you've never seen before, and will never see again. Each show is unique; live audience members are the only ones who will ever see this particular show. It's like fireworks - you can tell someone how awesome they were, but the magic is in experiencing it for yourself! For more information about Defiant Monkey Improv visit <defiantmonkey.com>, become a Facebook fan at <facebook.com/defiantmonkey> or email them at <improv@defiantmonkey.com>.